This cute little travel companion will make adventures into the world a lot more enjoyable. 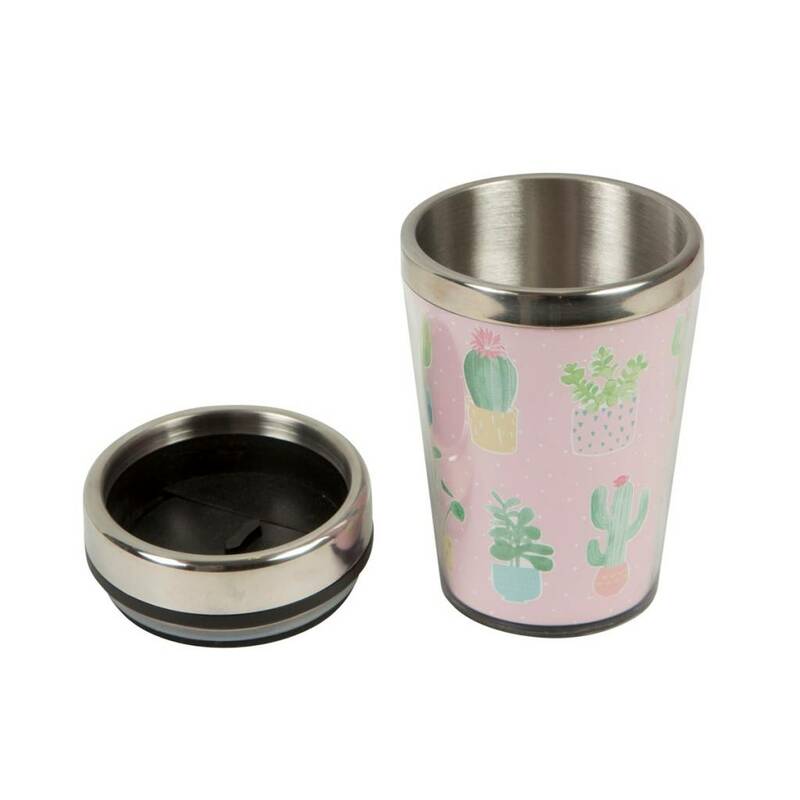 With these cactus illustrations on a pastel pink background, you'll love the soft vibes this mug brings. We do not recommend this product for microwave or dishwasher use.